The freshly minted company unveiled its board members, including former House Speaker Paul D. Ryan (R-Wis.). Ryan, whose two decades in Congress ended in January, forged a working relationship with President Trump in recent years to advance a conservative agenda, including tax cuts. Now Ryan will help oversee Fox News — Trump’s favorite news network. Fox’s other board members are Murdoch; his oldest son, Lachlan Murdoch; Anne Dias, founder and chief executive of media investment firm Aragon Global Holdings; Chase Carey, a former Fox executive who is chairman and CEO of Formula 1 racing; Roland A. Hernandez, a former chief of Spanish-language network Telemundo; and Jacques Nasser, former head of Ford Motor Co. and a longtime Murdoch associate. The new Fox is now “a standalone, publicly traded company,” the company said. Its shares are listed on the Nasdaq market; Tuesday marks their first day of trading. In morning trading, Fox shares were down 4% to about $40 a share. The 88-year-old mogul from Australia and his family decided in late 2017 to break up their entertainment empire, and Disney was Murdoch’s preferred suitor. The Disney portion of the deal is expected to be complete late Tuesday night when the Burbank entertainment giant swallows the bulk of Fox assets. The new incarnation of Fox is a slimmer version of the old Fox. Fox News is also a crucial piece of the new company, as the news channel generates more than $1 billion in annual profit thanks to growth in cable and satellite subscriber fees and ratings that make it the most-watched channel behind the broadcast networks. Although Fox News has seen advertisers resist buying commercial time on the shows of its provocative conservative commentators, Madison Avenue still values the network’s audience because 90% of its viewers watch live. Fox also is holding on to the historic studio lot on Pico Boulevard in West Los Angeles, where Lachlan Murdoch, 47, is based. 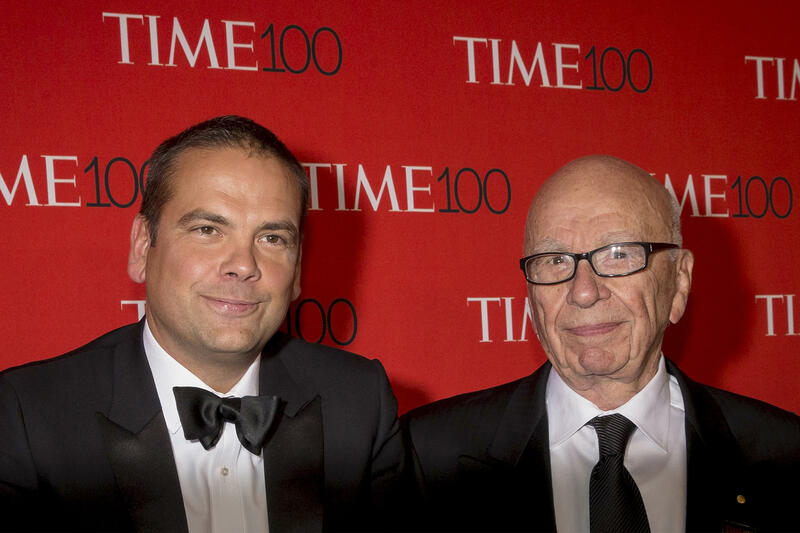 Lachlan Murdoch is running the new Fox company as its chairman and chief executive. The Murdoch family controls the company through its ownership of voting shares.